Currently available in select locations. Click here to begin placing your order! We’re currently hiring for multiple positions at CoreLife Eatery in Pittsburgh, PA! We were recently named #1 on The 10 Fastest-Growing Emerging Chains in 2018, presented by Restaurant Business, and #9 on the 2018 Fast Casual list of Top 100 Fast Casual Movers & Shakers. Join our rapidly growing, passionate team! We’ve learned that experience in “the food industry” doesn’t have much value at CoreLife Eatery. That’s because we are working with real food, and that’s just the beginning of what we do differently. We want everyone working with the food to understand the food. Maybe it’s just a great part-time job, or maybe you want to work full-time at a place that has plans to grow rapidly – either way, we are interested in active people that want to be part of serving and preparing real, clean food. Pay for team players is up to $12/hour. Complete the form below and our hiring manager will be in touch! Have a resume? Attach it here. 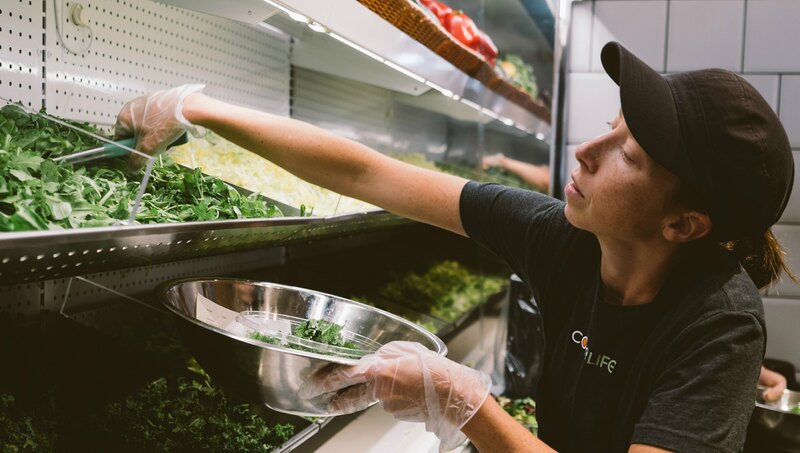 By submitting, you consent and agree that you are requesting CoreLife Eatery to contact you regarding a possible employment opportunity within their company. ©2019 CoreLife Eatery. All Rights Reserved.